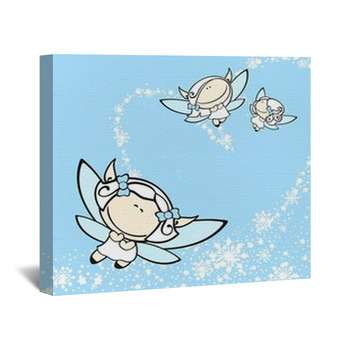 Deck the walls with angels and put a little fa-la-la in every day with angel wall art. 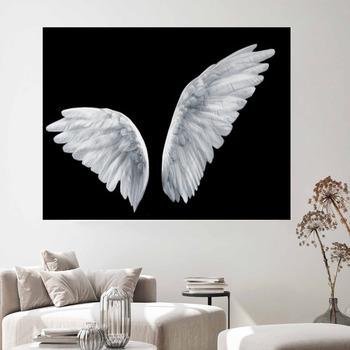 Whether you're after a heavenly pal or you'd like to play the devil's advocate with a spiritual Yin Yang whole, this custom angel wall art theme will bring comforting wings and sweet designs to your earthly space. Spread the wings of an angel across a stunning black and white wall mural. 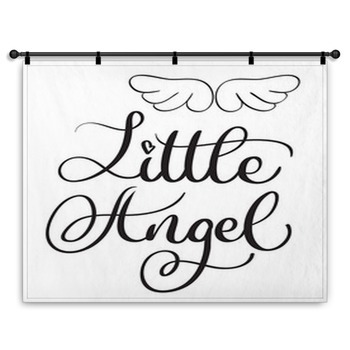 Put the devil in the details of an angel custom size wall art. 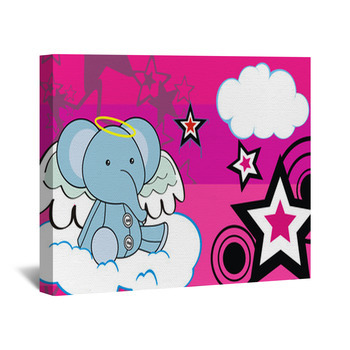 Fly the friendly softly-colored skies with anime angels on a wall canvass. 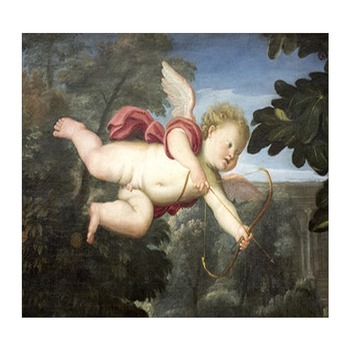 From cherubic altar angels to spirited jumps for joy among the stars, bring an angelic presence to your walls. Give wings and a halo to a baby rhino and let it ride the clouds in punk-pink skies. Sweeten the view with angel decals. 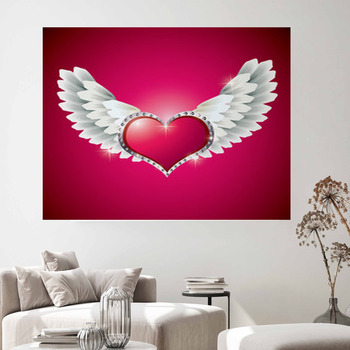 Put a big heart and a pair of wings in the rosy clouds of an angel wall sticker. Bring a smile to the man in the moon with a pretty pink angel perched on his chin. 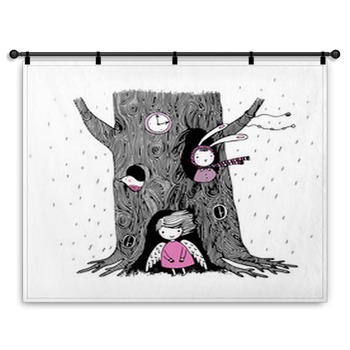 Hang a few wall tapestries and give the devil its due on an angel wall mural. 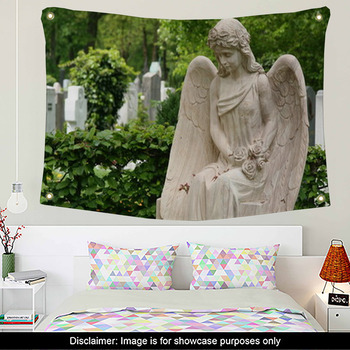 Let an angel in blue fill the room with the sound of music, or just let a happy curly-haired girl smile at you from an angelic throw blanket. 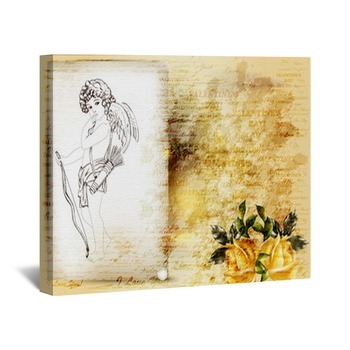 From an inspirational statuesque image of heavenly comfort to a flirty winged chick paired with a sassy-tailed figure in horns, these designs will fly on your walls with your spirit, whether it's playful or contemplative. 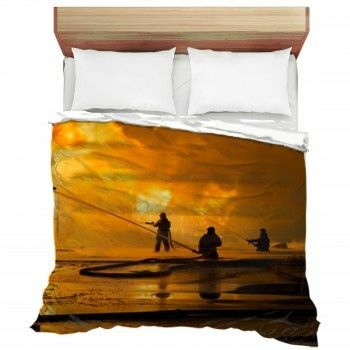 Put yourself in the arms of an angel with this themed wall art, and say the devil made you do it.